In the West, organized educational institutions have been around since the Middle Ages when churches set up schools to teach future priests and administrators. Besides that, few educational institutions existed until the first universities and almost nothing for children beyond apprenticeships. Greater London has over 3,000 schools today, and some of them have foundations that go back centuries. These bastions of learning exist both in churches and lay buildings, some having changed their character greatly since they began. As we walk down the hallways and peer into the classrooms of time, we’ve identified London’s five oldest schools both religious and secular. Our fifth oldest goes back to 1446 and the first of three London schools founded in the 15th Century. St. Dunstan’s College was founded in the parish of St. Dunstan-in-the-East through a writ of Privy Seal from the Archbishop of Canterbury and Bishop of London. The current building opened in 1888 apart from the church and exists today as a co-education independent school that caters to children from nursery-age to Year 13. City of London School is only four years older than St. Dunstan’s and was founded thanks to a bequest of land from John Carpenter, the Town Clerk of London. In its early days, it wasn’t a school per se as it was a charity for poor children, but the City of London founded a small college for young boys next to Guildhall where the students could make use of the Guildhall library. The school has moved locations several times since its founding and has been located on Queen Victoria Street since 1986. Perhaps one of the most famous independent schools in the United Kingdom (and the world), King Henry VI founded Eton College in 1440 as “Kynge’s College of Our Ladye of Eaton Besydes Wendsore.” It was founded for the benefit of seventy boys who would go on to be the first students at King’s College, Cambridge (also founded by Henry). 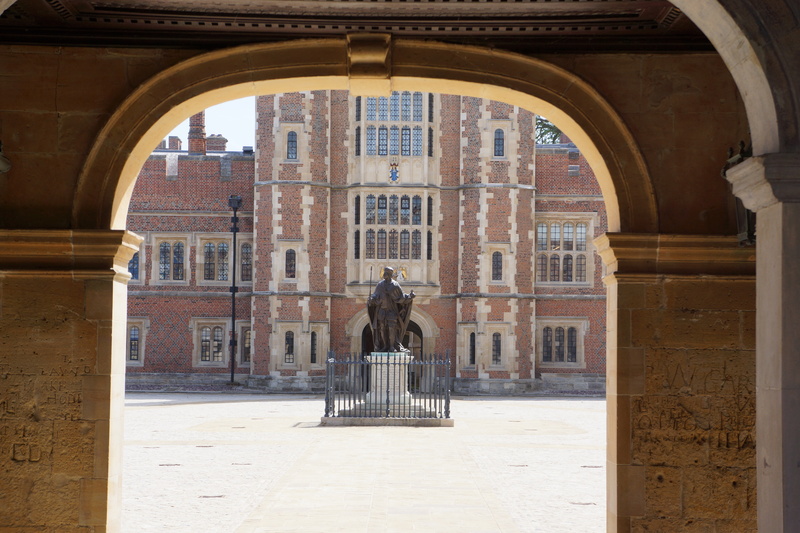 The school still educates boys only from the ages of 13 to 18 and has produced some incredibly notable alumni, known as “Old Etonians,” such as Tom Hiddleston, Ian Fleming, Ranulph Fiennes, David Cameron, as well as both Prince William and Prince Harry, amongst others. Westminster School – the 1370s? There’s no clear date for the founding of Westminster School, but its earliest records date back to sometime in the 1370s, though the school claims it goes even further back to a decree from Pope Alexander III in 1179, though this is disputed. Despite its close ties to Westminster Abbey, it is one of the few religious institutions that survived King Henry VIII’s Dissolution of the Monasteries, and it survived through this period as well as Queen Mary’s reign before being refounded by Queen Elizabeth I in 1560. It legally separated from the Abbey after 1868 and is presently divided into three schools that teach ages 7 and runs through Year 13. The Under and Lower Schools teach only boys and girls may enter the Upper School at age 16. The oldest school on this list, St. Paul’s Cathedral School is a co-educational institution that was established in the 12th Century to provide an education to the Cathedral’s choristers. In 1511, it broke from the Cathedral and became one of England’s top public schools (which would be considered a private school in America). The original school was destroyed during the Great Fire of London in 1666 and the current building dates from the 1960s. While not legally attached to the Cathedral anymore, many students still perform as choristers for the church.